In a world where everything is accessible on the web, it’s even easier to learn new skills and gain new knowledge. Digital skills are no exception and of course, there is no better place to learn them! As an affiliate, you will require a wide set of digital marketing skills in order to deliver the very best affiliate marketing strategy. The more you know, in theory, the more commission you will be able to generate. 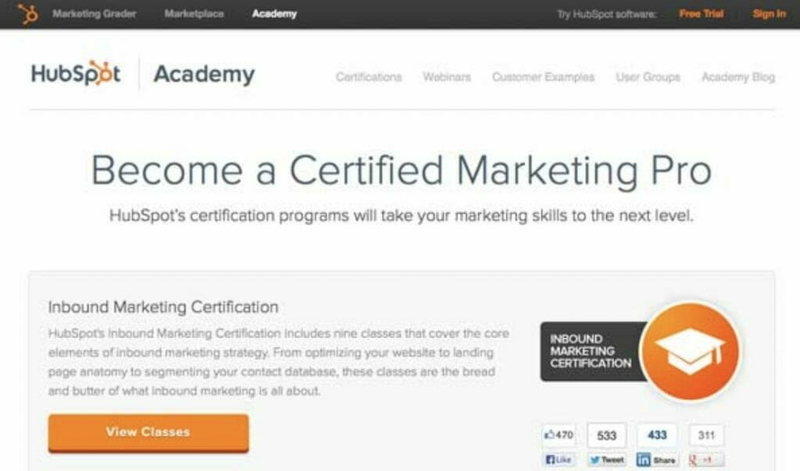 Hubspot academy is a brilliant online resource, full of information and free courses that are open to everyone. Work through each course at your own pace and learn a whole host of news skills. Their inbound marketing course is a good place to start if you’re looking for an all-rounder. There are plenty of free courses, but also further paid content if you wish to take it to the next level. A lot of the content is provided in the form of video training, making it easily digestible and far more enjoyable than reading pages and pages of written content. Thinking of trying out PPC (pay per click) advertising? If you haven’t got the budget to outsource this you’ll be pleased to know that Google offers a completely free training course which allows you to become Adwords certified. The course involves sitting two timed exams and studying the available modules beforehand to learn the content. Once completed not only will you have an industry recognised certificate, more importantly, you’ll have the necessary skills to successfully manage your own PPC account. The content is a good mix of short written text bites and video guides. Alison courses are becoming more and more widely recognised. They offer online diplomas and various other courses in a range of subjects, not just digital marketing. Their diploma in social media marketing lets you self-pace your study as you work through the modules. By scoring more than 80% in each assessment you can pass the diploma. If you’ve tried any of these courses and found them useful, let us know. Tweet us @wowtrk and tell us what you think. Of course, we hope that our blog and the content we share here helps you grow and develop as an affiliate too. There is a wealth of information on topics from content marketing, email marketing, PPC, social media and video marketing.